In 2010, American Municipal Power (AMP) began construction on the 2nd of five power plants being built adjacent to the Ohio River. 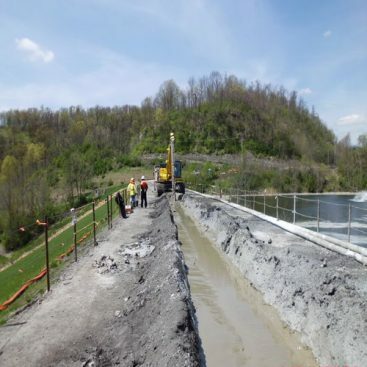 An integral part of the plant construction dewatering system was the installation of a vertical groundwater cutoff wall surrounding the future hydroelectric plant foundation. Geo-Solutions teamed with another contractor for the construction effort associated with the vertical cutoff wall. The barrier wall was constructed using a soil-cement-bentonite (SCB) slurry cutoff wall that was 36 inches wide and approximately 3,800 feet long. 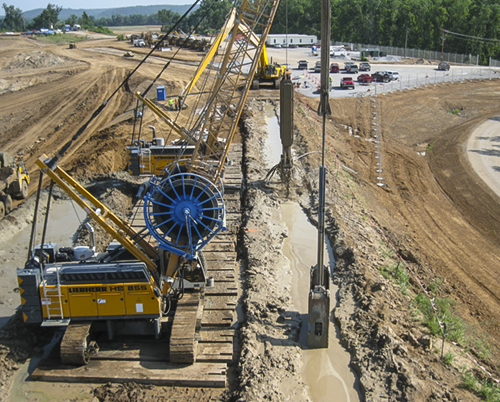 The deepest section of the wall extended to 187 feet (57 m) bgs, making it the deepest recorded barrier wall installed for groundwater flow control. SCB was chosen for the wall type due to the combination of low permeability and moderately high strength. SCB was also selected to deal with potential cavities within the bedrock subsurface. The wall construction was completed in approximately 6.5 months. 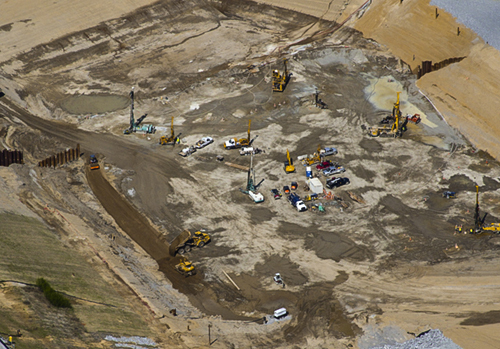 The wall excavation began in May 2010 and completed in December 2010, utilizing double shifts. 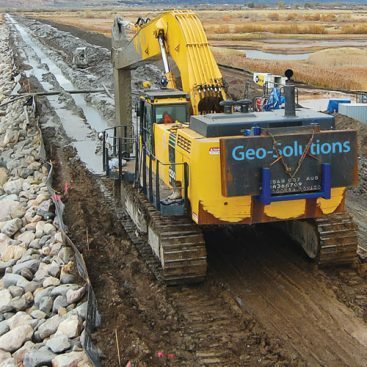 For the construction effort, Geo-Solutions provided technical assistance services to the contractor. 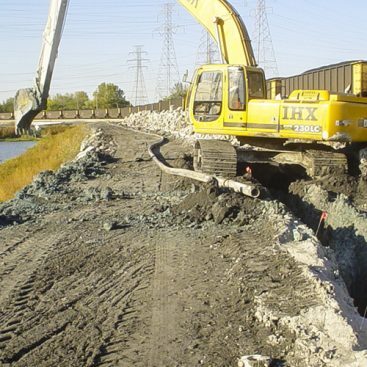 The technical assistance included supervision, Quality Control, specialty equipment (including two crane / clamshell combinations and one long stick/boom excavator attachment), and cement and bentonite materials. Geo-Solutions also provided two full time supervisors and a project engineer for the day shift and one full time supervisor for the night shift. These supervisors oversaw contractor quality control of the work as well as operation of key equipment, namely the long stick excavator and clamshells. In addition to supervision of the project, Geo-Solutions staff collected samples for offsite testing, and performed onsite Quality Control testing. The Owner was pleased with the efforts and the project was completed on schedule. The interior excavation is proceeding and the barrier wall is exceeding expectations.